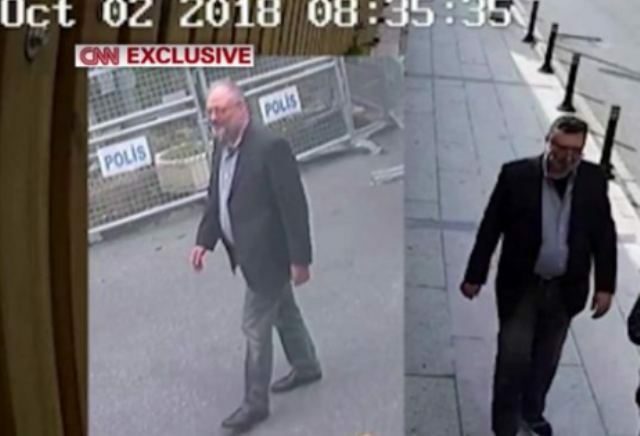 Surveillance camera footage obtained by the CNN showed a man leaving Saudi consulate in Istanbul wearing the clothes of Jamal Khashoggi. The man, identified as Mustafa al-Madani, is said to be one of the members of Saudi ‘hit squad’ that was sent to murder Jamal Khashoggi, the CNN said, quoting Turkish officials. Madani was brought to Istanbul to act as a body double, a senior Turkish official said. Khashoggi, a Saudi dissident, mysteriously disappeared from Saudi consulate in Istanbul on October 2. The Turkish officials had claimed that he was killed inside the consulate. On October 20, eighteen days after Khashoggi disappeared, Saudi officials confirmed he died during a ‘fistfight’ inside its consulate in Istanbul. Saudi foreign minister Adel al-Jubair described Khashoggi’s death as “murder” and “tremendous mistake”. He said they do not know where Khashoggi’s body is. None of those involved in Khashoggi’s death had close ties to Saudi Crown Prince Mohammed bin Salman, he added.